TV shows like Prison Break give all of us a tiny glimpse at life behind bars and a taste of some of the drama that can happen. While most inmates will never break out of prison, I imagine that most dream about getting out and running from the law. Have you ever thought about what it would be like to end up in prison for committing a crime? Even worse, what if you were innocent? Some shows live life on the edge, which is excatly what happens in Prison Break when an inmate is sent to death row for a crime he didn’t commit. To catch more top TV shows to watch that are showing lives full of crime, drama or being on the run from the law, you have to check out my list! Prison Break is a television drama series that aired on Fox for four seasons, from August 29, 2005, to May 15, 2009. A reboot of the popular series is taking place and currently scheduled to release in early 2017. (fangirl cheer!) The series focuses on the lives of two brothers, Lincoln Burrows and Michael Scofield. When Lincoln is sent to death row for a crime he didn’t commit, his brother Michael gets himself sent to the same prison, with the intent of breaking them both out. Prison Break stars Dominic Purcell and Wentworth Miller. Here are some TV shows like Prison Break. OZ is a drama, crime, dark comedy and suspense television series that aired on HBO for six seasons, from July 12, 1997, to February 23, 2003. The series chronicles the daily happenings of the inmates and staff in an experimental unit of Oswald State Correctional Facility. OZ stars Ernie Hudson, Terry Kinney, Harold Perrineau and Eamonn Walker. Breakout Kings is a television series that combines crime, thriller, and drama. It aired on A&E for two seasons, from March 6, 2011, to April 29, 2012. The series showcases a group of U.S. Marshals and former fugitives, who work together to locate prison escapees. Breakout Kings stars Laz Alonso, Domenick Lombardozzi, Malcolm Goodwin, Serinda Swan, Brooke Nevin and Jimmi Simpson. Breaking Bad is a crime, drama television series that aired on AMC for five seasons, from January 20, 2008, to September 29, 2013. The series focuses on Walter White, a high school chemistry who has been diagnosed with terminal lung cancer. White teams up with Jesse Pinkman, a former student and current drug manufacturer, dealer and user, to manufacture and sell drugs to ensure his family will be taken care of when he is gone. Breaking Bad stars Bryan Cranston and Aaron Paul. Breaking Bad is frigg’in amazing and has been named by so many lists of top shows to watch. The Pretender is an action television series that aired on NBC for four seasons, from September 19, 1996, to May 13, 2000. The series focuses on Jarod, a man who can master any skill, as he escapes from a secret agency and goes around the country working various jobs. The Pretender stars Michael T. Weiss. Orange is the New Black is a comedy, television drama series that premiered on Netflix on July 11, 2013. Season 4 of the series premiered on June 17, 2016. It is based on the 2010 memoir titled Orange Is the New Black: My Year in a Women’s Prison by Piper Kerman. The series chronicles the 15-month prison term of Piper Chapman. Chapman is serving time at the Litchfield Penitentiary for transporting drug money for her then-girlfriend, Alex Vause, who is also at Litchfield. Orange Is the New Black stars, Taylor Schilling. Orange Is The New Black is one of my favorites, though I love all of these shows! 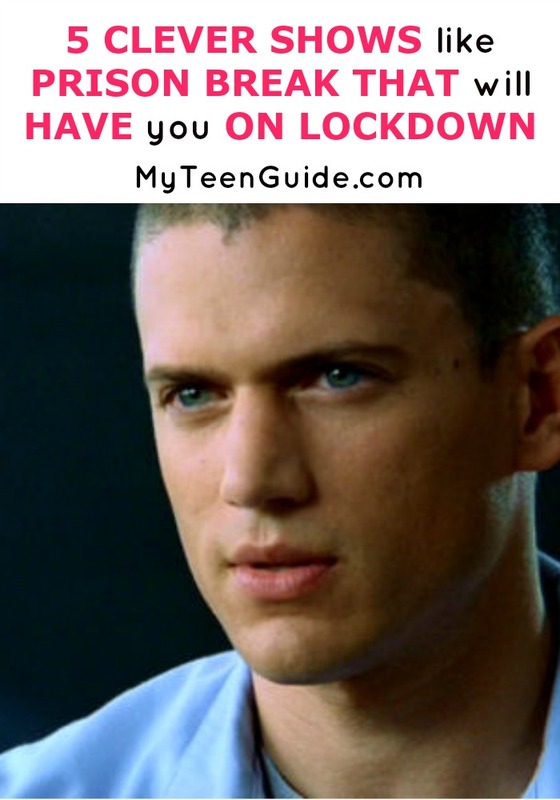 Which of these shows like Prison Break are you adding to your list to watch?